Apart form travels and Gounesco (WE WON) I have had a lot of comments on my hair and how long they have grown. These were mainly from friends and family but I have to admit every trip causes me to think about cutting them again. Why I have not cut them I have no clue but let me tell you ladies it is a difficult task. Every since we moved to Hyderabad more than two years ago I have been facing hair loss and my hair have gone grey real fast (I am just 28, and it is not fair). Length is the only thing I have working for me now. Length and density which is still better than many (sorry). This last trip was a bit different than the usual fast paced trip we take. We had no place to stay up until 27th (we started on 21st) so no hair wash. 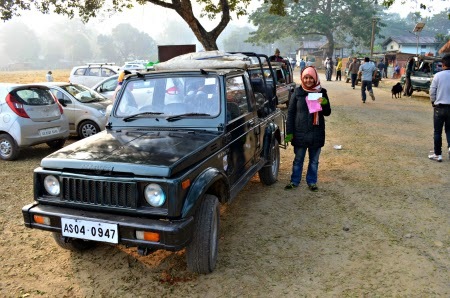 It was all good till we had our first jeep safari in Manas National Park. Believe me Jeep Safaris and flowing hair DO NOT go together. Another flaw in all those African safari movies. The heroine should come out with dirt on her face and hair gone hard with all the dirt, dew, humidity and sweat. Like I said not good at all. All this after I had hood on the entire time and my hair were braided. It was super cold. 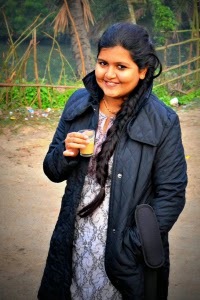 As a true Indian I also swear by oil and it is a quick solution if you can wash your hair. Also you can never use oil on such dirty hair so I had to stick with it for almost two days. Did I tell you we had another jeep safari in Kaziranga. By the time we reached our accommodation and I found warm water I had been looking for a few days I was carrying a substantial part of these two national parks. I was actually afraid all five of us combined would clog the drains of our awesome host. Had that happened I would have been nominated as the major contributor. I would not give you details of all the grime I got out after repeated wash. The problem is after that, my hair went super dull until I was back home caring for them all over again. I have a very small routine of wash and comb and rare oil (yes really small). I believe apart from wash it is combing which gets your hair to shine and stay clean. Neither one of these is feasible for my hair length on a train. How do you all take care of your hair while traveling. What lengths do you maintain? do you go super short like a bob for humid weather travels? the reason I got interested in the contest was maybe I could actually get through travel without hair worries. Thanks for reading through. I will let you know if I win something(fingers crossed). Also have look at the photographs from our walk in Kolkata before we headed to Manas.